Analyzing connected marsh systems holistically at the regional level is crucial to understanding, and planning for, sea level rise impacts. It is critically important to communicate findings and the importance of these priceless natural resources if their survival is to be ensured. 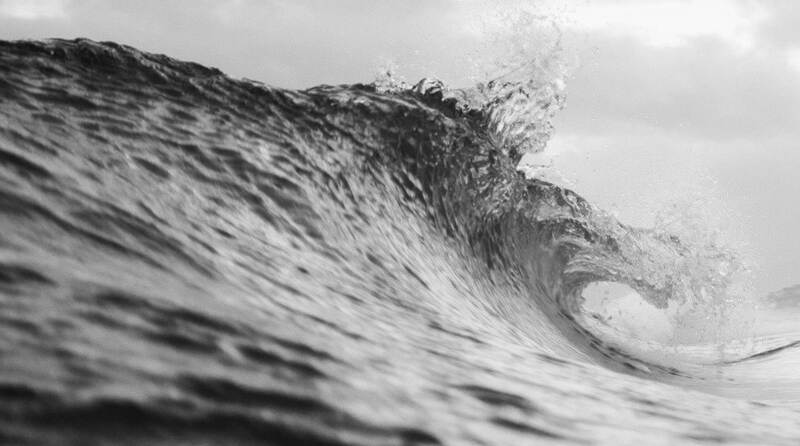 The former New England Governors' Conference and the Northeast Regional Ocean Council needed to build awareness to support monitoring and planning for the future of the marshes of southern Maine, New Hampshire, and northern Massachusetts. 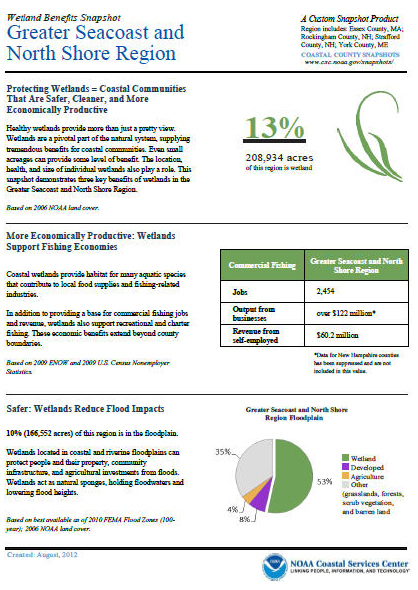 The Wetland Benefits Snapshot, a feature of the Coastal County Snapshots tool, provides statistical information about wetlands and is helpful in communicating the benefits of wetlands to nontechnical community members. A custom snapshot was developed by aggregating data from four county snapshots: Essex in Massachusetts, Rockingham and Strafford in New Hampshire, and York in Maine. The regional snapshot was used as an outreach companion to the future marsh migration models available in the Sea Level Rise and Coastal Flooding Impacts Viewer. When a number of New England organizations used a custom-designed, four-county snapshot along with marsh migration and sea level rise maps, two important benefits became apparent: The organizations were better able to view and understand regional marsh systems; and these entities could communicate the importance and benefits of these systems in more effective ways. Going forward, regional organizations can continue to use these visuals to engage in more productive discussions with elected officials and stakeholders. The customized version of the regional Wetland Benefits Snapshot.